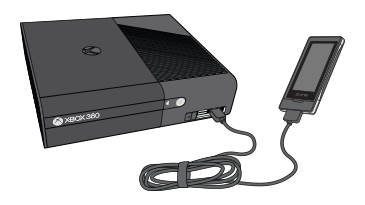 You can listen to music on your Xbox 360 console by connecting a portable media player, inserting a CD or playing music from your console’s hard drive. Note The Xbox 360 console can only play AAC files that are not protected by DRM (digital rights management). Protected AAC files will appear greyed out in the Xbox Dashboard. Go to Bing, and search for "Optional Media Update".